The CHS Guidance Notes and Indicators supplement the Core Humanitarian Standard on Quality and Accountability (CHS). 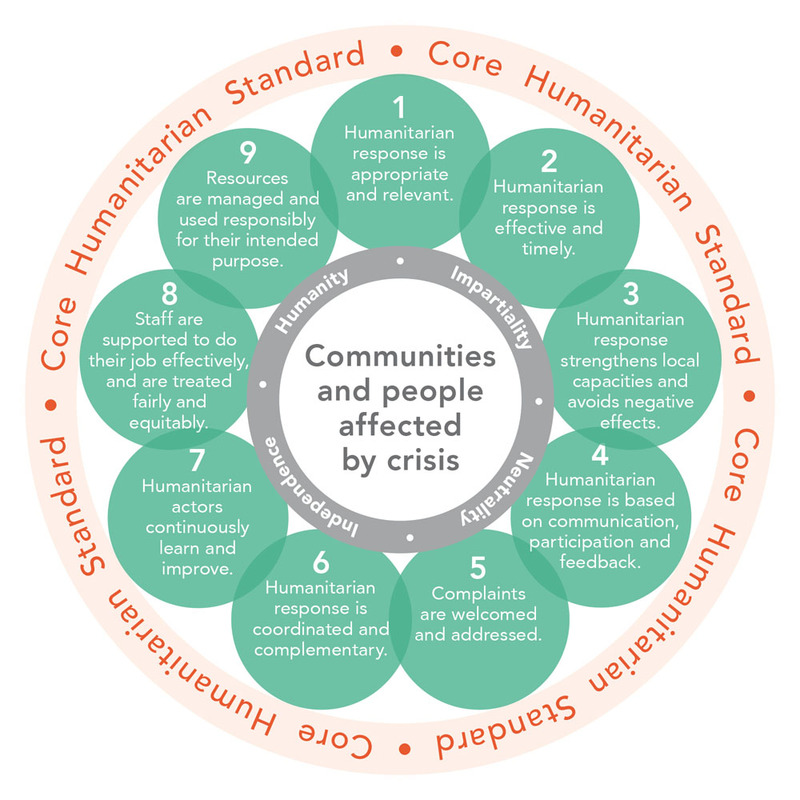 Aimed at all humanitarian actors and organisations involved in planning, managing or implementing a humanitarian response, this document provides clarification on the Key Actions and Organisational Responsibilities laid out in the CHS and examines some of the practical challenges that may arise when applying the Standard. It explains why each of the Nine Commitments of the CHS is important and provides indicators and guiding questions to promote measurement of progress towards meeting the standard and drive continuous learning and improvement. Organisations are encouraged to translate the CHS into other languages, to help disseminate the document more widely and support humanitarian and development actors around the world. Those wishing to do so should first contact info@corehumanitarianstandard.org for more information and approval from the CHS communications team.